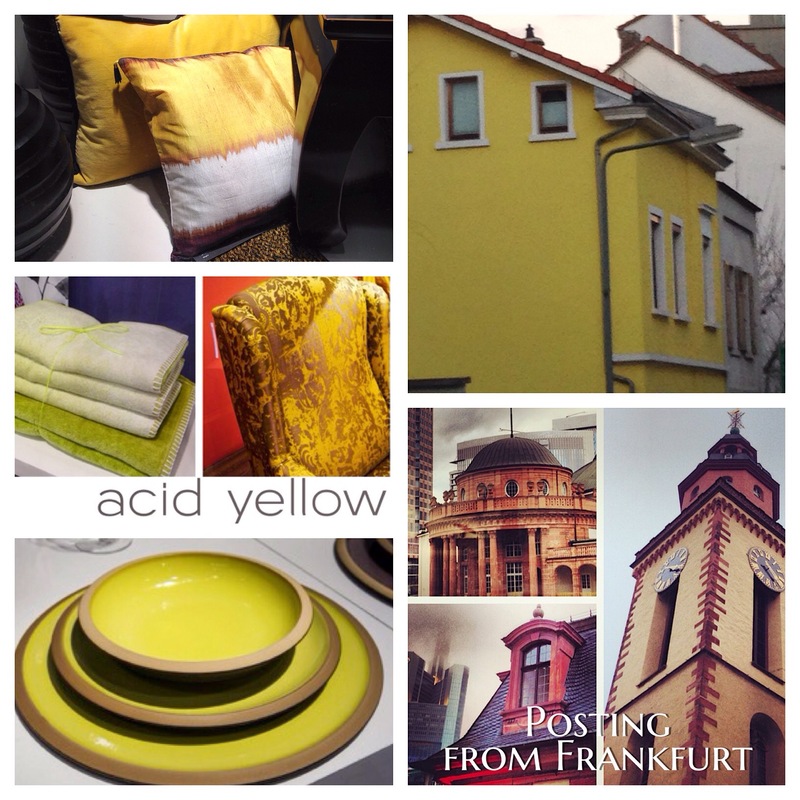 Me again…posting from Frankfurt and had to share my “Frankfurt Trend Find”…who knew that Acid Yellow would be trending in this small village outside of downtown Frankfurt. I love when I explore places off the beaten track and stumble upon a trend find like this..so good that I am updating my KBIS trend presentation next week for my HGTV 2015 Trends in Las Vegas and updating my “Acid Yellow” slide with this very groovy trend-right yellow house. Had to update you on the “Color” part of my Chaos and Creativity! More to follow as Heimtextil opens today…more trend ahead!